Birthdays are always special occasions for both celebrants and their loved ones. It is a time for reminiscing about important events, marveling at the passage of time and how people change over the years. It is a time for reaffirming the connection you have with someone special. Fortunately, modern technology has made it easier to send birthday greetings through various channels, so there’s no excuse not to. You can choose the traditional way, which means creating a handmade card with a personalized message. 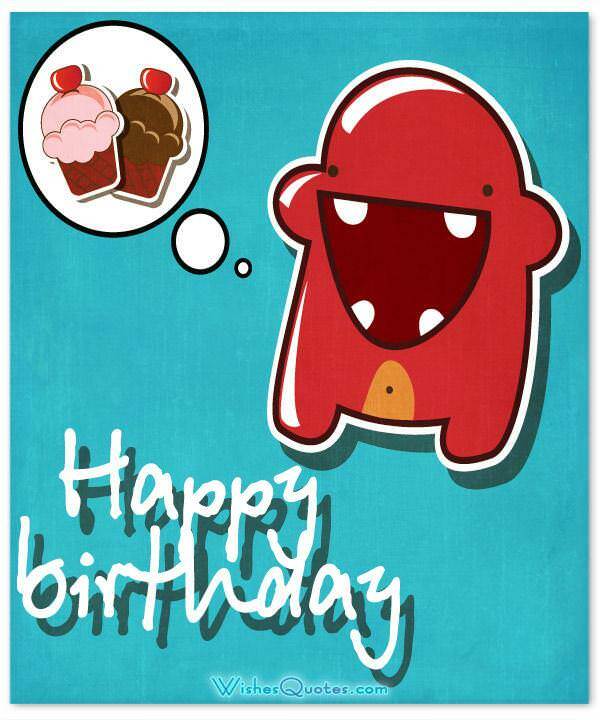 Modern birthday cards could be digital, but you can customize with your own message and design. Social media provides more channels to deliver birthday greetings quickly and conveniently. Here are some sample messages to inspire you. Choose one of the cutest birthday wishes for boys. 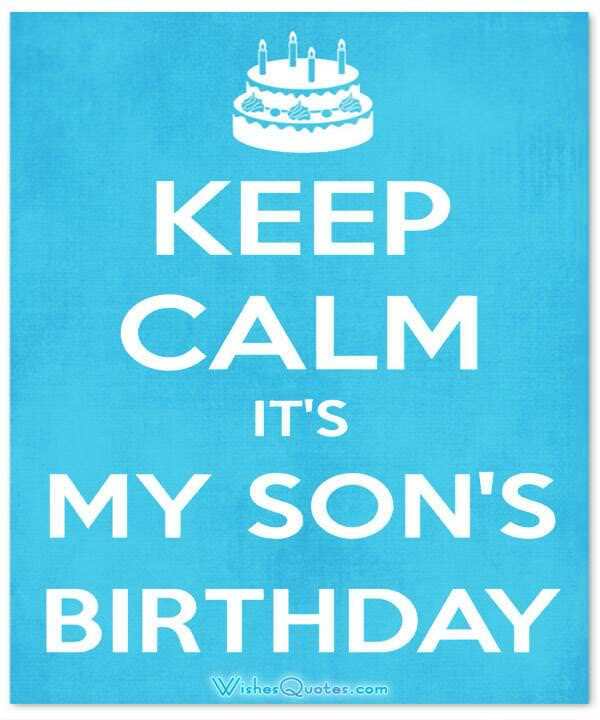 We guarantee you will find the perfect birthday quote or message for that special boy. Happy Birthday to the smartest boy in all over the world! This day is all about you. I decided that the best birthday present is to make a list of all the things that make you the best friend in the history of the world. I’m at number 1,876 and still going. Enjoy your birthday as I work through this. Want to know the secret to true happiness? Find a friend who is brave, strong, loyal and always prepared to get you out of trouble. Spend a lot of time with said friend. Take friend to a special birthday dinner. Pick you up at 8 pm. You hit another milestone. The years are piling up, yet you still laugh and light up the room like that little boy who first shook my hand with his glue-coated hands. Who would have thought we would make it this far? Have a great birthday! If you look in the dictionary under “best friend,” you’ll find your picture in there. They also have your photo under “birthday,” but that’s a special for today only. We are polar opposites, but somehow we are bonded in a forever friendship. I hope that we will have many more birthdays to celebrate together. I’m glad you’re the master in my universe. Thanks for many years of friendship. I wish you many more years of blazing your path like the champion that you are. A true friend remembers the date of your birthday, the type of birthday cake you like and your favorite ice cream and drink. A true friend forgets the candles. Today, you are a year older and wiser than you were last year, but not quite as old as you will be this time next year. Life is complicated, but happy birthday to my dearest friend. You are one of those genetically blessed men who will forever have the face of a 16-year old. I should know; I was there when you turned 16. So glad to have you as my friend. I do not know if you will be a nuclear physicist or an astronaut, but I know that you can archive almost any goal in life! Happy birthday my little angel. I am wishing you a happy birthday. May you live to blow 1001 candles- happy birth day once again and may it be filled with fun. Birthday hugs are sent your way and heartfelt wishes for a happy day and may all your wishes come true. Happy birthday! A joyful birthday to the sweetest baby in the world; my wish is that you live to be a God fearing kid. Am sending you tons of kisses and hugs on your birthday. Wishing you the happiest of birthdays. My prayer is that the almighty God showers you with his blessings over the birthday baby. Wishing you little hero a rocking birthday party. Sending tons of good wishes of health and blessing over the birthday baby for the rest of his life. A Fabulous and memorable happy birthday to my little angel; happy birthday! Happy birthday little angel; Let it be filled with showers of love and happiness. Happy birthday to the apple of all our eyes; we love you. This is your day. Decorate it with all your naughty ideas and actions. Have fun. Let the birthday of the most handsome boy be as sweet as honey. 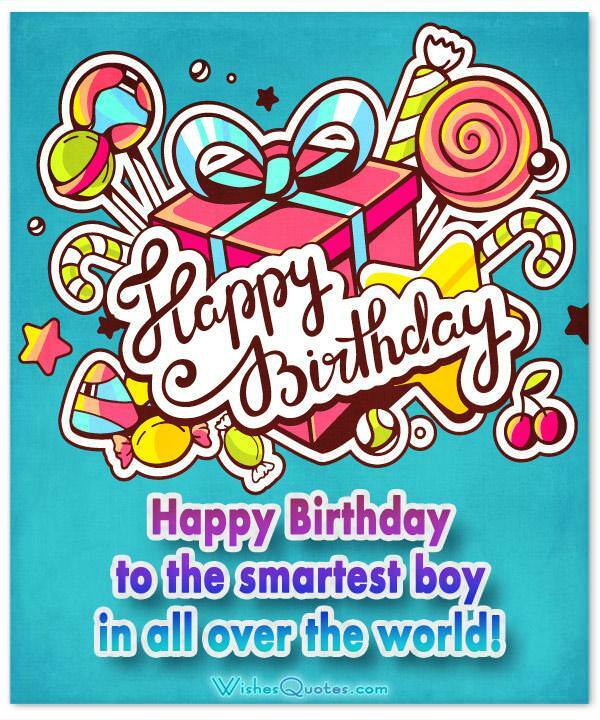 I pray for the brightest future of the smartest kid on his awesome birthday. Let’s invite Humpty Dumpty to come and celebrate with us the birthday of our twinkling little star. Wish you baby a special birthday, as special as you are to us. You are the best son of this world. Let the birthday rock for our little hero. Let the almighty God bless the life of this little angel. I am sending you 100 sacs filled with fun, joy and laughter on your birthday. Let all your dreams come true on your birthday. Up, up and away may your birthday balloons fly high today! Blow your candles, eat a whole cake and open dozens of biscuits today. It is your birthday and you should party little man! Birthday hugs are sent your way; have a wonderful one! We love you and we wish you a happy birthday. One year older means you are now one year cooler. Happy birthday my little baby! My dear baby; laugh, smile, jump and play. It is your birthday. 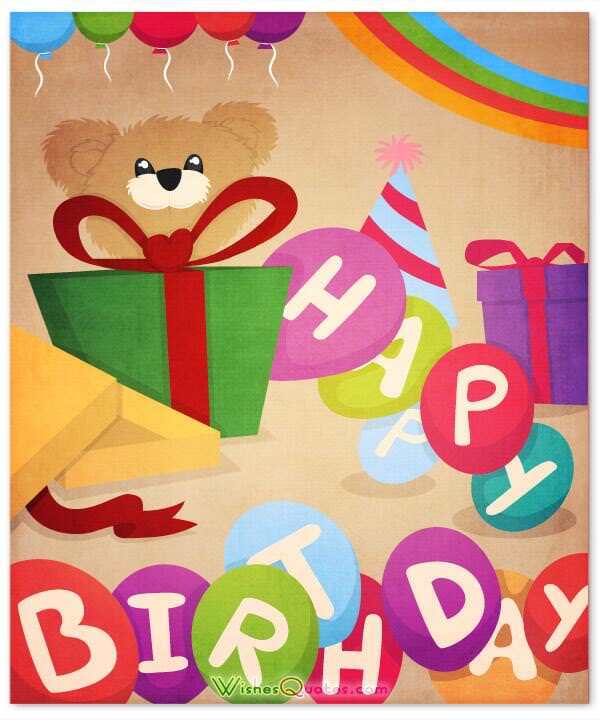 I am wishing you a birthday loaded with toys, chocolates and fun to the sweetest. One year older means one year cooler. Happy Birthday my little prince! Let the desires of you sweet baby be fulfilled on the very special birthday.